I've had a set of star blocks in a box for many years. I received them in a swap with internet friends and somehow never got around to putting them into a quilt, although when I opened the box recently I discovered that I had added coordinating fabrics to the collection of blocks and had printed out quilt layouts from Electric Quilt. The latest project for Scrappy Club involves Log Cabin blocks. I intentionally wrote the plans for the blocks to be the same size as my long-neglected stars. Here are some of the blocks on my design wall. I think this will work! 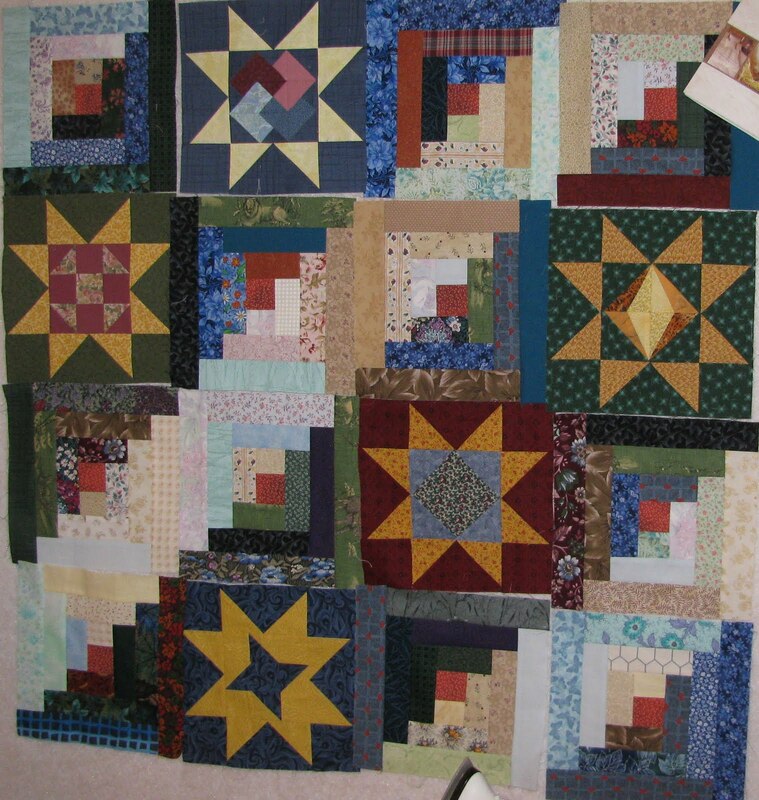 I can see that I need to spend some serious sewing time on building more of those Log Cabin blocks. So far, so good! What a great way to use those UFO blocks.